Everyone has a least one on their Christmas list, that hard-to-buy for person who already has everything. 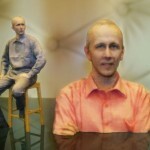 This year why not surprise them with something truly unique, a 3D printed replica figurine of yourself. How do you get your hands on one, simply visit the iMakr pop-up shop in London Selfridges where a mechatronic engineer will guide you through the 3D scanning and printing process. Customers are requested to step inside the 3D-Scanning booth where 40 or so cameras positioned at various angles and levels create 3D Data for print which will then be recreated on an iMakr printer. Customers are advised of certain print limitations for example issues recreating splayed fingers and curly hair. 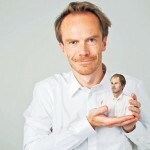 Allowing loved ones to hold a miniature version of yourself in there hands does not however come cheap with a mini-me figurine likely to set you back £159. 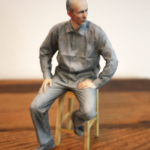 Alternatively with iMakr printers starting at £699 you could treat yourself to your very own 3D Printer a create a mini-me army.